An unspeakable betrayal. A shocking revelation. 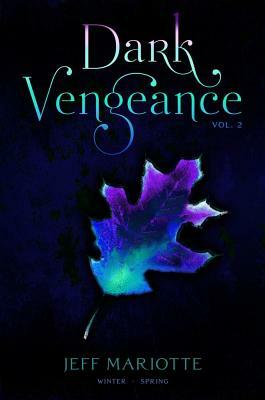 The concluding two novels in Jeff Mariotte’s spellbinding series of romance, revenge, and witches—now in one volume! Kerry never thought she’d fall for a guy like Daniel—and she certainly never expected him to be a witch. He showed her that love and magic are both real. But Daniel also pulled Kerry into a dark feud that has left a trail of blood for centuries. Now Daniel is gone, and Kerry is in danger. Betrayed by the one witch she thought she could trust, Kerry must protect herself—and her friends—with the little magic she’s learned. No one will be safe until the witches’ war is ended. And Kerry is the only one with the power to uncover the truth.